Students are tested every six weeks. This is something students could practice at home. Click here to download a scoresheet. My goal for Woodmere is that 100% of our students improve the number of laps they run on their test by the end of the year. See below the healthy fitness zones for both boys and girls. The Progressive Aerobic Cardiovascular Endurance Run (PACER) is a multistage shuttle run created by Leger and Lambert in 1982.The PACER is designed to measure aerobic capacity, which is characterized by endurance, performance, and fitness. 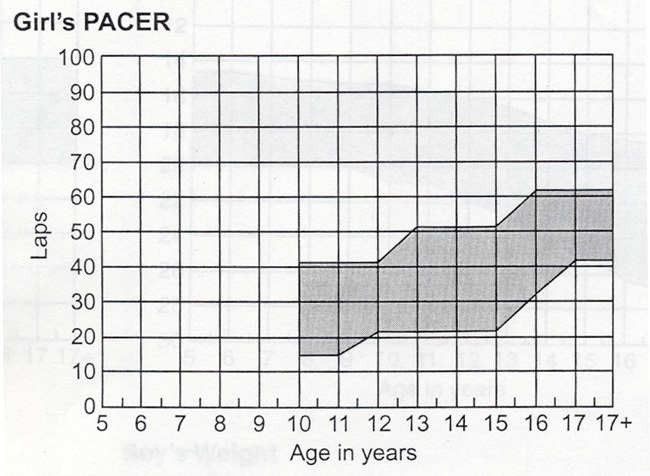 The objective of the PACER is to run as long as possible while keeping a specified pace. Students run back and forth across a 20-meter space at a pace that gets faster each minute. A point is scored for each 20-meter distance covered. The test is easier in the beginning but progressively gets more difficult. 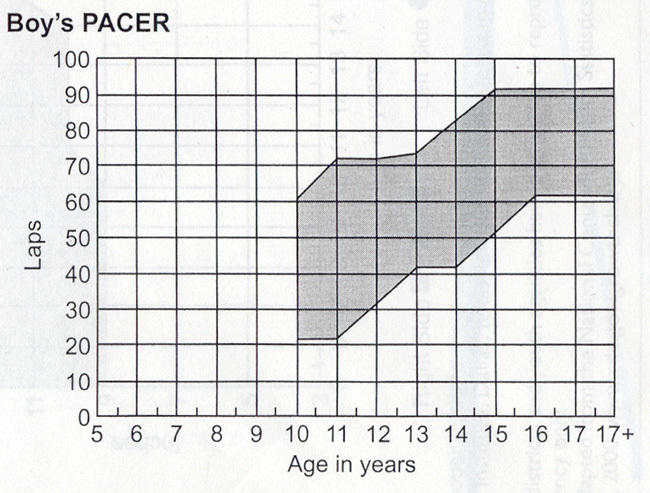 In comparison to distance running, the PACER is a more effective, fun, and easy way to measure aerobic capacity that encourages participation from all youth and is relatively easy to score and administer.